I bet you've hardly heard of Vodnjan (if you've heard of it at all). A small town, located just 10 km north of Pula, is often overlooked by visitors to Istria. Yet, we think everybody should visit it, and here are the reasons to do so. 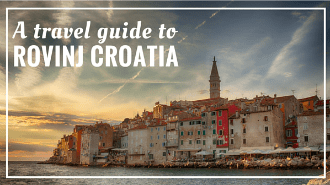 #1: Vodnjan might look a bit worn out, but it has plenty of historical buildings, loads of churches (for those interested in sacral architecture and art), real mummies, the highest bell tower in Istria, and some of the best olive oil producers in all Croatia. #2: Vodnjan, at times, was bigger town than Pula. It kind of goes with a no. 1 (it really has a lot of historical buildings). #3: Vodnjan's constitution dates back to 1492, the same year Columbus discovered America. #4: Vodnjan was the first town in Istria to get electric city lights. That first electric lamp still stands there. #5: Vodnjan has the longest street in all Istria. It also has the narrowest street in Istria. Go, check it yourself! #6: Vodnjan hosts a yearly Festival of Fresh Olive Oils. It takes place in November, and this is the place to taste some of the best olive oils in Istria. #7: Some of the world's best olive oils are produced by olive oil producers from Vodnjan like Chiavalon, Meloto, and Moscarda. #8: Vodnjan is also popular for its Vin de Rose. No, silly, it's not a wine made of roses, it's just a name of this sweet, but strong dessert wine. It's made of Muscat grapes, pressed as late as in December (something like ice wine). #9: The oldest olive tree in this area, called Olivo de masina, is 500 years old and it alone produces 400 kg of olives a year. #10: Locals refer to themselves as Bumbari, bumblebees. I don't know about you, but it sounds super friendly to me. #11: Why go to Egypt to see mummies when you can see them in Vodnjan. And you can do so without a horde of tourists. Mummies are exposed in stacked glass cases in the Church of Saint Blaise in Vodnjan. #12: A restaurant Vodnjanka, located in Istarska Ulica in Vodnjan, serves traditional Istrian dishes, and it is one of the best restaurants in Istria. #13: Meat lovers will like to know that Chiavalon family produces, not only the best olive oil in Istria, but also awesome homemade pork salami. They raise their own pigs in the nearby woods. #14: You can explore Vodnjan's street in an old carriage pulled by Istrian working donkeys. #15: Ecomuseum in Vodnjan might be small in size but it's full of great ideas, or its founders are. Run by local enthusiasts and volunteers, ecomuseum organizes a variety of events, workshops, culinary classes, and other activities in order to preserve traditions of Vodnjan. Superb place to visit and learn about life in Vodnjan in some other times. We hope we've given you enough reasons to visit Vodnjan? So on your next trip to Istria, don't just skip Vodnjan. Stop by, explore, and get to know bumblebees. Any questions? Please, leave them in the comments below.